Abandoned New Year’s resolutions are ubiquitous at this point in a year, but for Framatome—formerly AREVA—the months since the company’s rebranding on January 4 have entailed increased resolve and dedication to restoring the company to financial health. 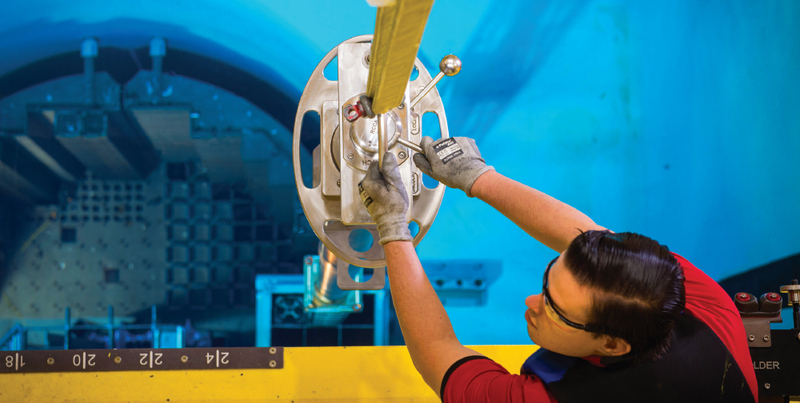 The nuclear energy firm has undergone many changes over the years—both in name and ownership—but this rebranding marks a return to the former AREVA’s roots and, thus, a kind of rebirth. Framatome was originally established in 1958 by several French and American businesses focused on pressurized water reactors, and by 1975 the company was the sole provider of nuclear power plants in France. 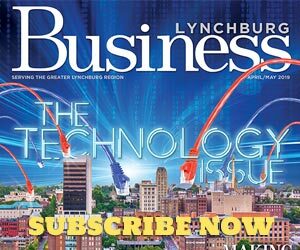 In 1989, the Framatome Group purchased half interest in Babcock & Wilcox Company’s Lynchburg-based nuclear services division and created a jointly-owned subsidiary named B&W Nuclear Services. This subsidiary ultimately became Framatome Technologies in 1995. In 2001, the AREVA Group formed alongside a new iteration of Framatome Technologies (Framatome ANP), and AREVA acquired Framatome in 2006. After announcing a significant financial deficit in 2015, the company set a plan in motion to restore financial health. Rebranding as Framatome is a major part of that restoration. Framatome has also launched a joint venture, Enfission, with Reston-based nuclear energy firm Lightbridge. Enfission will focus on advancing and commercializing Lightbridge’s innovative fuel technology, which is designed to significantly improve the economics and safety of existing and new nuclear power plants. Additionally, Framatome will continue its relationship with NuScale as their exclusive provider for fuel design and related testing services. The NuScale small modular reactor is an advanced light-water reactor with self-contained NuScale Power ModulesTM that operate independently within a multi-module configuration. Up to 12 modules can be monitored and operated from a single control room. “These exciting business opportunities build on our success from 2017 and position us for continued growth throughout 2018,” Mignogna notes. Framatome will also continue to operate from its three Lynchburg locations on Old Forest Road, Mt. Athos Road and Mill Ridge Road. Framatome added the Technical Training Center to the Mill Ridge Road facility in 2003 and expanded it in 2014, and more than 47,000 technicians, students and utility customers have received training there. The Mill Ridge Road facility also houses the nuclear energy industry’s first outage control center, where customers’ outage operations are monitored 24 hours a day, seven days a week, during outage season. “Connecting customers to our field teams and engineering expertise provides real-time data exchange that ensures flawless execution during outage season,” Mignogna says. In 2012, the company opened the U.S. Technical Center as part of its Solutions Complex located on Mt. Athos Road. The U.S. Technical Center offers the largest and most comprehensive testing capabilities in North America for the nuclear energy industry. The Solutions Complex also houses Framatome’s 60,000-square-foot Pump and Motor Service Center, which offers the resources and expertise to inspect, repair and refurbish all designs of primary and auxiliary pumps, motors and seals. Before the rebranding, AREVA was involved in many philanthropic efforts such as the United Way Day of Caring, K-12 outreach, and the Blue Ridge Area Food Bank, and Framatome will continue to participate in these and other efforts. “Just last year in North America, our company and hundreds of our employees contributed 2,000 hours of community service, directly benefiting nearly 410 organizations and thousands of individuals in our communities,” Mignogna says.